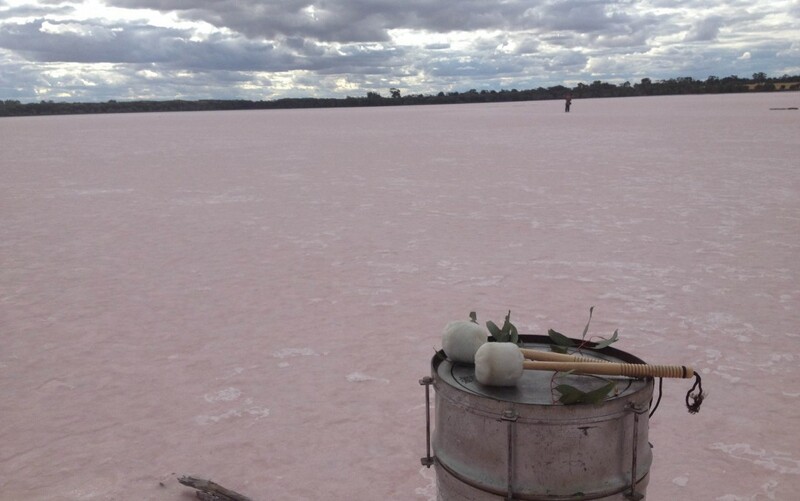 Ren Walters, Clinton Green & Michael McNab “At the Salt Museum” CD/online (Shame File Music, 2017) In December 2015, we camped at Murray Sunset National Park in northern Victoria, Australia. During our time there, we sounded various sites and performed ritualistic actions. This album documents our sounding of the rusted salt harvesting machinery we discovered at the outdoor ‘salt museum’ on the shore of the Lake Crosbie saltpan. You can listen to two tracks from the album free below. The full 5 track album comes with purchased downloads. A limited edition of 100 CDs in a 4-panel digipak will be available next month. Pre-order your copy here for the special price of $10 + postage (offer ends 9 February 2017).